So you’ve just taken an NBME Practice Exam (or have been taking multiple): what do you do next? You have your potential 3 digit score for the USMLE, but where do you go from there? How are you supposed to review it? How do you interpret the different parts of the results? How do you use that assessment to focus on weak areas without sacrificing your areas of strength? To read NBME Practice Exams: Ultimate Guide for the USMLEs and Shelf Exams, click here. I have worked with hundreds of students, many of them either in individual or the Online Course. I have gone over hundreds more NBME Practice Exams with them, and have seen remarkable results with the students I have worked with: roughly a 40 point improvement on average in students I worked with individually, including students who had already been studying for months beforehand. I’ve found there are many different reasons that hold students back. Here I share my advice for how to read through your NBME Practice Exam results, and how to read it to figure out the best ways to improve your score in the time you have remaining. First, you need to assess the broad trajectory of your 3-digit score. Specifically, what is your score relative to your previous NBME exams? Is your progress satisfactory? The question behind this is: is your studying working? In other words, have you figured out a way to reliably increase your score? How much improvement you can expect is going to vary, but we would hope that with a month of studying, you would add at least 10 points your score. If it’s far below this, or worse, if your score is lower than your previous NBMEs, your problem is likely either 1) your studying is ineffective, and/or 2) you are not able to focus properly on your studying. This bears repeating: students who don’t see their score improve, particularly if they’ve never seen their score improve by very much, are likely stuck in one of these two categories. If you find yourself in this situation, assess how much dedicated time you’re actually able to spend studying. If you can’t consistently study more than eight quality hours a day: figure out a way to increase it. If this is impossible because of other obligations, you will likely need a longer time-frame over which to study, and to use something like spaced repetition to allow yourself to build a large framework of knowledge over a long period of time. If you’re studying more than 10 hours a day in a dedicated fashion, but your scores still aren’t going up: read the next section on the “Magic Formula” – or what it takes for you to reliably turn time spent studying into consistent improvements in your score. The most important determinant for consistent improvement of NBMEs is whether you can master new material and make it a part of your ongoing foundation. I’ve written a guide on how master topics for the USMLEs here. What is your general aim? Anything that you learn, you must move beyond memorization of rote facts, and learn in a way that you can apply and integrate the information on your exam. Let me repeat this for emphasis: the biggest difference between students who score 240/250+ vs. those who are scoring at or below the average is that students with higher scores consistently develop mastery of material and can retain it effectively. Ask yourself a simple question: is your studying leading to steady, durable score improvements in the areas you’re focused on? Once students figure out how to consistently master new material while simultaneously remembering everything they’ve studied previously, you have what I call the “Magic Formula” – the ability to reliably increase your score by studying for longer. Why do some students study full-time for a year (or even longer) without any improvement in their scores? They haven’t yet learned how to master topics and/or are forgetting things they’ve already studied. But…how do you know if you’ve learned the “Magic Formula”? It’s easy to say that you need to master something and never forget it, then learn how to apply it. It’s a completely different issue to actually do it. The simplest way to assess whether you’re mastering things: for things you studied, are the scores for those subjects increasing? For things you studied in the past, you want to make sure that they stay improved. For example, if you studied cardiology, you want to see a steady improvement in your cardiology scores. Then in subsequent months, you want to make sure the cardiology stable, or even goes higher. 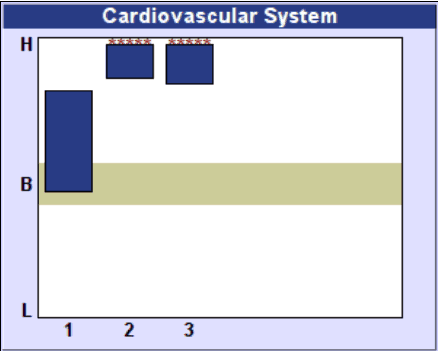 See below, where this student started out high-borderline in their Cardiovascular System score, but after spending a week of dedicated time using the Yousmle Step 1 Cards and videos from Group Tutoring, they were able to improve their cardiovascular score. If you’ve spent a lot of time studying something, but your scores are still stuck: you need to reassess how you’re studying, since you’re likely either not spending enough time, or not studying effectively, likely overlooking things like true mastery or integration and application, and rather focusing on things like memorization. If your score went up, but now it’s back down again: you should be concerned about your retention, which likely indicates that you’re not using something like spaced repetition to make sure that you never forget something that you’ve learned. If you’re looking to improve both mastery AND retention, use the Yousmle Step 1 Deck which helps not only with mastery of material, but also retention. It may go without saying that the greatest chance of improving your score is to focus on your weakest areas, however many students don’t realize this. Naturally, students will tend to study the subjects that they already know better, and to leave the more painful subjects to some undetermined future date. This makes some sense; for the subjects you don’t know, it’s hard to know where to even start, whereas for the subjects that you know better, you’re more able to identify where your gaps are to fill. However, focusing on the things you already know well is a surefire way to slow your score progression. If focusing on your weaknesses is a way to improve your score faster, then focusing on the weaknesses with the greatest number of questions on your exam is the fastest way to boost your score. Collectively, pathology, physiology, micro/immuno, and pharmacology are the 4 largest subjects on the USMLE Step 1 – I refer to them as the “Big 4.” Here I detail how to improve each of these important Step 1 topics. This is by far the largest single section on the USMLE Step 1. It encompasses multiple different subjects, so it’s hard to study one particular thing and expect your score to go up. However, if the score is low, there are several things you can do. First, focus on the pathology for the systems that you are weakest on. Again, remember the “Magic Formula” – you want to see the systems you’re studying to go from weaknesses to strengths, and a large part of each individual system is the pathology/physiology behind it. Second, improve your general pathology principles knowledge. One of the Step 1 pathology question authors said once that roughly 50% of all of the pathology questions were general principles questions. This may seem surprising, since few if any questions seem to be testing a broad principle. However, when you look more carefully at some of the questions that students find to be most challenging, oftentimes there are general principles that are lurking behind. For example, the question may ask you what lobe of the lungs is most likely to have metastasis from a distant organ. You may be tempted to guess a random lobe. However, a student who is keyed to recognize the underlying physiologic principles would recognize that perfusion is highest at the most dependent (closer to the earth) portions of the lungs (i.e. the lower lobes in an upright person). Once you recognize this, it becomes a small step to see that metastatic cancer cells carried hematogenously to your lungs will most likely end up in the lower lobes. To improve general principles, focus on the first several chapters of any pathology textbook, including Robbins, Pathoma, or Goljan’s Rapid Review Pathology. General pathology principles are broadly applicable, and show up again and again on exams, things like response to cell injury, apoptosis, and cellular repair mechanisms. From a learning standpoint, it’s odd that these two sections get lumped together, although based on content, it may make sense. Microbiology is much more about learning facts, whereas immunology is much more about principles and their application. The resource I recommend most commonly is to use Clinical Microbiology Made Ridiculously Simple, although many students seem to prefer Sketchy Micro. 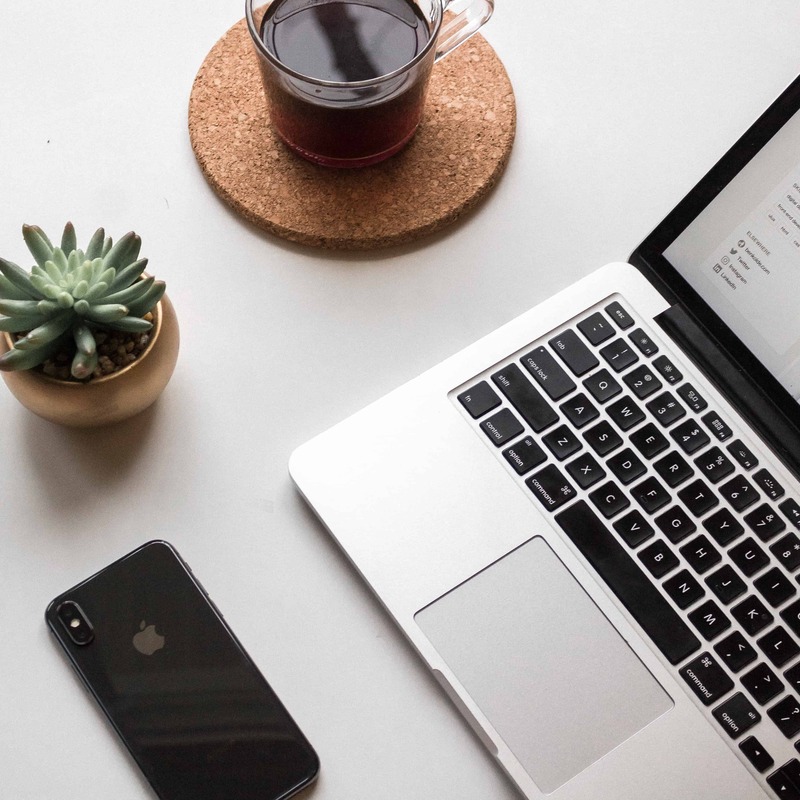 If you end up using Sketchy, be sure to use spaced repetition along with it, to make sure that you can retain the information more effectively. 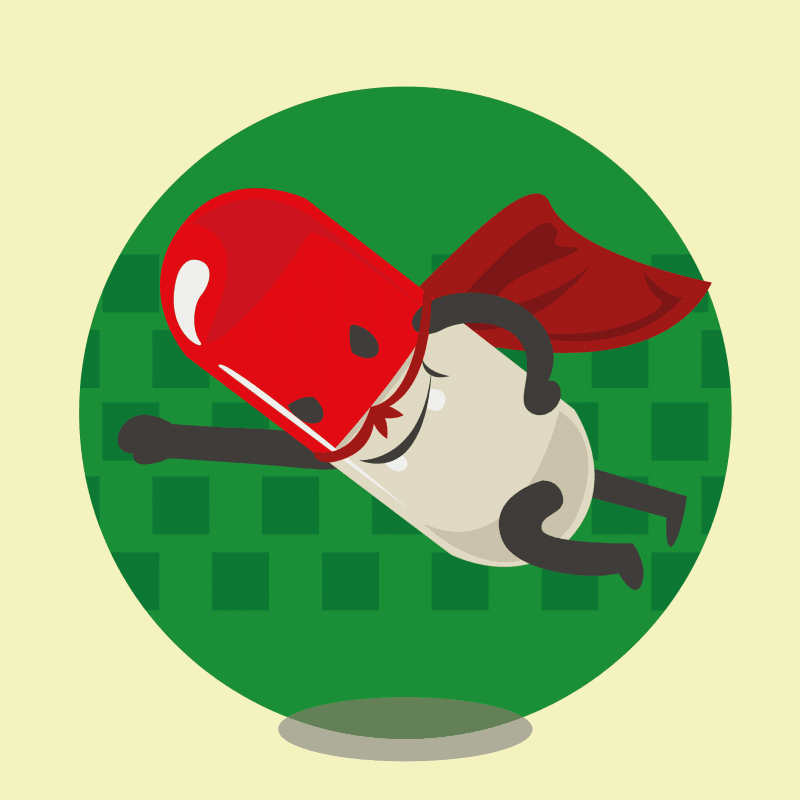 For immunology, if your scores are low, check out How the Immune System Works. It is by far the best book on immunology I read in medical school, and probably the best textbook I read, period. Like pathology, physiology is a subject that spans multiple different subjects. The focus here, just like with pathology, is to focus on learning each of the different individual subjects. Again, focus more on mastery, rather than memorization, particularly since questions here do with a large amount of integration and application. If you’re looking to integrate your physiology and pathology knowledge, I’d highly recommend the live lectures and recorded videos/prior sessions in the Yousmle Online Course. This is one of the most straightforward subjects to master. Pharmacology, unlike pathology, immunology, or physiology, is largely a topic that is tied to rote learning. What do you need to know? Only the mechanisms, uses, and major adverse effects for all of the major drugs in common use, plus many others (hahaha…yeah…). While this seems daunting, this is one of the few areas where by only improving your rote knolwedge you should see large improvements in your pharmacology scores. Since pharmacology is worth likely at least 40 points on your exam, this is of particular importance. Spaced repetition is a must for pharmacology – without it, you will be constantly re-learning drug mechanisms, adverse effects, and uses, wasting precious time that you could be using on other things. You can make your own cards from a source like First Aid, or you can use the Yousmle Pharmacology Deck which has all of the major drugs, their side effects, mechanisms, and uses that you are most likely to be tested on for your exam. Someone said that about 50% of Step 1 is based on your depth and mastery of knowledge, whereas the other 50% is how well you’re able to apply it in novel contexts. I would agree. Mastery of the information got me to about a 230, but it wasn’t until I was able to interpret questions properly, to see how they were testing general principles, or what the different sentences meant in clinical vignettes that I was able to improve my score to 270. In other words, if you’ve mastered the topics well, but struggle with what questions as asking you or how they are testing that information, your score might top out in the 220s or 230s. To consistently get above 240s, you not only need to master the information but also learn how to apply it in novel contexts (e.g. see the above example about lung metastases). To make this point, how many questions did you miss on your NBME exam because of straight lack of knowledge? If you’re like most students, at least 50% of the questions you missed are because you are making systematic, correctable mistakes in your approach to questions, NOT because of a lack of simple factual knowledge. 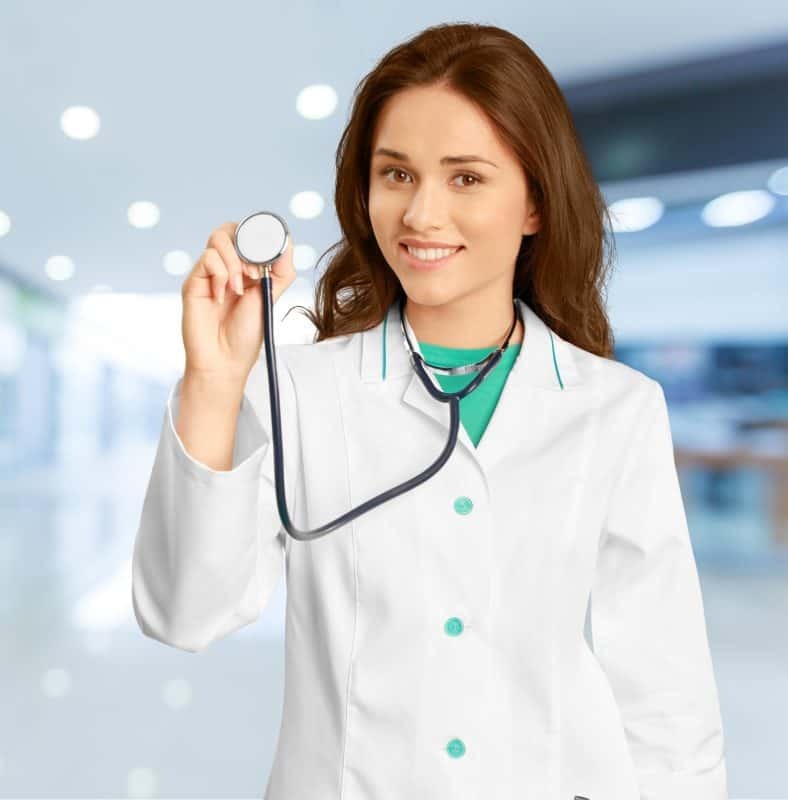 In other words, a large number of questions you are missing have NOTHING to do with the kind of rote knowledge you will find in First Aid or other texts, but rather because you lack a systematic approach to answering questions. You can read more about what happens when you correct your approach to questions: this student improved their USMLE Step 1 207 to 241 in 4 weeks, not by learning more information, but rather by cutting down on their mistakes by applying a simple framework for question interpretation to all questions. This has become even more true, since all of the USMLEs are shifting towards more and longer clinical vignettes, where your ability to understand what each of the different elements means, as well as how these elements fit together in context determine whether you can follow the clinical stories, or are loss by the time you get to the question. 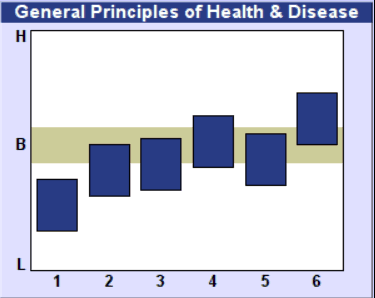 The best way to assess your question interpretation is to look at the “general principles” section. This section can tell you how many of the questions you are missing be sent petitioners, since many of the general principles information is things that you know already, but maybe having trouble applying. 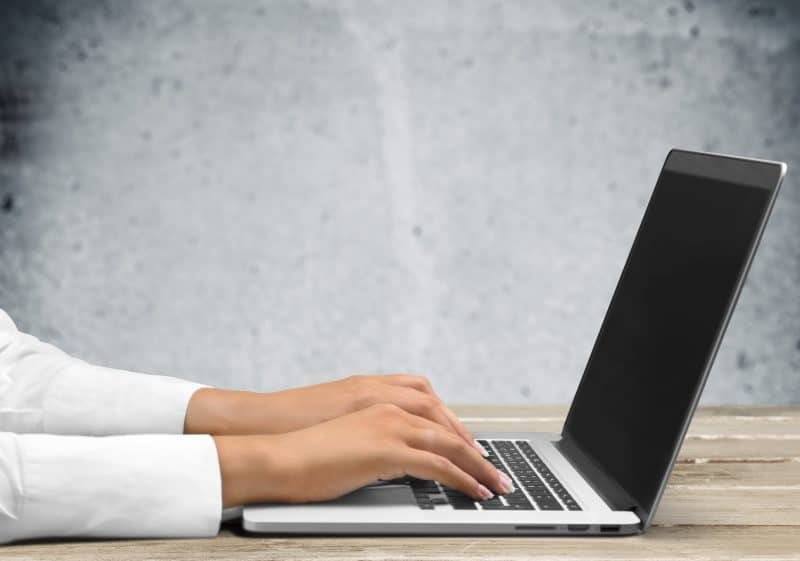 If you’re looking for regular practice for question interpretation, take a look at the Yousmle Online Course, where there are recorded tutorials on question interpretation, as well as live group instruction sessions led by me and Yousmle Mentors regularly throughout the month. BONUS: How long should each part take / how do I analyze the questions? Support the site below to see how long you should spend on reviewing each different task. Also, as a bonus, I’ll walk you through the exact exercise I have all students do to improve their question interpretation skills. 56 year old man presents with crushing substernal chest pain radiating to his L shoulder for the past 6 hours. His history is significant for insulin-dependent diabetes type II, HTN, and hyperlipidemia. He smokes 1 pack of cigarettes daily for 30 years, and drinks alcohol occasionally. EKG is significant for ST-elevations in V1-4 and initial troponins are elevated. Your goal with each pathophysiologic chronology is to explain exactly WHY each patient presents the way they do (note: this is exactly what you should be doing in your clinical practice, as well!). To learn more about question interpretation, and how you can improve your approach to ANY question, read this article here. The NBMEs are the best predictors of your scores for the USMLEs, and when used effectively, can help pinpoint exactly what you need to do to improve your scores. To reiterate: the most important determinant of your score will be your ability to master your weaknesses, to make sure you never forget what you’ve learned, and ultimately to apply and integrate that information on your exam. Once you have that figured out, then it’s simply a matter of investing more time in your weakest areas and turning them into durable strengths that you can use not only for your USMLEs and other standardized exams, but also your clinical practice. Are you still struggling with the best approach to NBMEs? Does this discussion spark any new insights for you? I’d love to hear from you in the comments!